How do you write successful Blog Content that people actually want to read? Who wants to read a blog about a retail store or a plumber? Are there blogging secrets? Truth is, blogging is not easy, and yes, there are a lot of blogging secrets. It’s time consuming and unfortunately most blogs go unread…..so why do it? There is a method to the madness. There is a specific writing style that blog readers thrive for. Not everyone has the gift of writing this way, but lucky for you, FLIP Marketing and Seo in Scottsdale AZ, has blog writers who LOVE to read and write great blog content! As stated above, many blogs will not be read or have a great following, but blogging is a way to get new, up to date content on your website regularly which is one of the components of the Google Algorithm. Google, and your customers, do not like to see websites that were created months ago and obviously have not been touched since. The more effort put into your website on a routine basis, the more attention it will attract. Can you just copy articles from other sources and post them to your blog? You can, but it won’t do you any good. Google’s most recent algorithm updates really focus on unique content. Yes, Google can tell if the content on your website (or blog) is copied from another source and if it is, in extreme situations, they could ban your website completely. 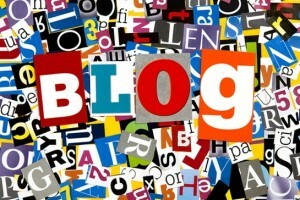 Blogs need to be witty and fun to read. They need to have current content and provide something interesting for the reader BUT also be relevant to your industry. FLIP Marketing and SEO can have a consultation/brainstorming session to set up a blog calendar for future posts OR we can handle all the blogging for you!